There are many good remodeling contractors in New Jersey. However, many of them do not offer Interior Design services and they leave all the material selection decisions up to the home owner. This can be challenging if the home owner does not have any experience in selecting light fixtures, plumbing fixtures, cabinet finishes, counter tops and so on. 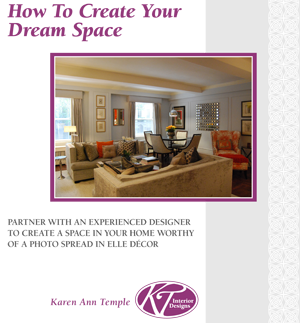 At KT Interior Designs, we offer full service guidance for all aspects of interior remodeling. We begin with looking at the contractor or architect’s plans with a client and determining what is needed in each space that is being worked on. We then go over our list of items needed and show our client what options there are for all of the variables such as base board, crown molding, door styles, cabinets, counter tops, light fixtures and bathroom fixtures. And, for each item, there are many variables such as material, color, finish, style – the choices can be overwhelming. We work with our clients in a very systematic way, first looking at the functionality of each item, then looking at the appearance and then deciding on color. By working with an experienced design professional this way, the client is fully involved in the decision making and guaranteed a beautiful, functioning well planned space, one which reflects their own unique personality and lifestyle. As a result, mistakes and delays are avoided, stress is reduced to a bare minimum, and the project runs on time and on schedule, with all furnishings readily available on-site for the contractors when needed. 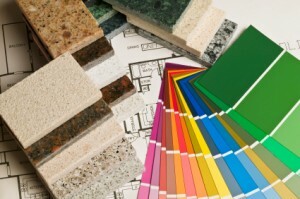 Let KT Interior Designs guide you through the complexities of choices on your next home improvement project! "Karen was a delight to work with and our new home looks terrific. She has an expert eye and yet was always considerate of my tastes and preferences. I would describe Karen’s style as collaborative. She didn’t overwhelm me with her opinions; instead she helped me develop my own ideas. The options and decisions involved in decorating a home can be overwhelming, but Karen took control of all of the details and made the experience truly enjoyable. I look forward to working with her again. "I have worked with Karen Temple on several projects and would highly recommend her services. She always takes the time to listen and understand the desired overall look. She is excellent at forming a vision of how the project will look when completed and knows how to put together the details that add up to the desired end product. From color schemes, to finding the perfect furniture and materials, to shopping for those accent pieces, to the final furniture placement, Karen is involved in all aspects of making her client's home come to life. She understands how to work within a budget and can offer different ideas or suggestions depending on what she has to work with. The latest project Karen helped me with was transforming a drab guest room into a peaceful oasis for visitors with new paint, carpet, bedding, accessories. And this was done in one weekend. Karen's ideas are always fresh and innovative. She is warm, cheerful and respectful of the people she works with. She is extremely creative and passionate about what she does and has strong work ethics. She is truly a pleasure to work with." Karen and I are now choosing paint colors and custom window shades for our new summer house in Harvey Cedars, N.J. and if not for her, again my new house would be boring. Not only is Karen extremely knowledgably in interior design, she is also a pleasure to work with. "I highly recommend hiring Karen Temple to help you decorate your home. She was able to take my decorating ideas and preferences and turn them into something tangible and much better than I could have ever dreamed of on my own. Her professional expertise and desire to not only meet but exceed my expectations was obvious from the start. My friends and family have since come to my home and they can’t believe the transformation and the sheer aesthetics of what Karen created. Now after a long day at work, coming home is like stepping into my own personal oasis." "I have had the pleasure of working with Karen Temple for the last 10 years and I have found it to be a very rewarding relationship. She has a subtle way that she presents the best options and she guides you through the process. I have had her assist me with many rooms in my home and she appreciates that my time is limited and that there are budgets to meet. She has great taste but an even better talent of listening so she really absorbs what you are trying to achieve in a room. And she is an honest and good person which is sometimes hard to find but she is a true asset when you are trying to decorate a space." "I have had a working relationship with Karen for over 10 years and 2 houses! Karen has always been very professional. At the same time, Karen presented me with numerous choices for my custom drapes and privacy shades, wall coverings, carpets, and furniture. Most importantly, she has always respected my budget and my opinion." We asked Karen to visit our office and create a conference room environment where every client and visitor would feel welcome. She quickly transformed the room with color, texture and new furniture. Many clients comment on how professional and comfortable the environment is and this has made a tremendous difference to the success of our business since it was done. We will be asking her back to rejuvenate the rest of our office space and create a place where both clients and staff are happy to visit and work. Karen has a great skill in listening to what you say you want and putting those ideas in place with her signature good taste and eye for detail. I would recommend Karen to anyone who wants to improve their business environment or their home. © 2015. KT Interior Designs, LLC. All Rights Reserved. 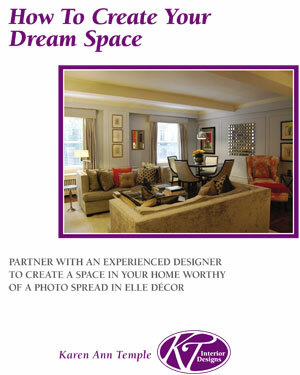 If you would like a copy of How to Create your DreamSpace, please leave your email.